Blogspot SEO Tips and Blogger SEO Plugin: Read this Blogspot SEO Tutorial for Blogger users to increase traffic and coversions to your blog from search engines. 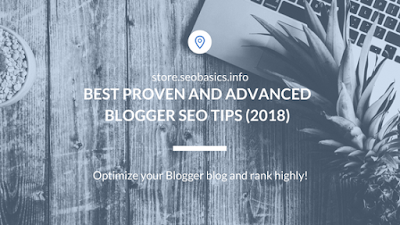 Blogger SEO Tips and Plugin - read these advanced Search Engine Optimization tips for Blogger users so that you can increase traffic to your blog. Use Blog Title, Search Description,Robots.txt. How To Do SEO On Blogger To Get Organic Traffic? Search Engine Optimization for Blogger Blogs is a little different than in other blogging platforms, therefore, you need to do know a little HTML so that you can make some small modifications on Blogspot template on HTML editor. But, do not worry here I am going to explain to you everything you need to know about! How to make Blogger SEO Friendly? Blogger is now considered one of the best regarding Search Engine Optimization. Blogger is also one of the most used blogging platforms in the world, that offers a free blog with a Blogspot subdomain for everyone. 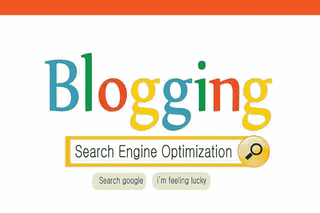 Blogs of Blogger now provide their users with the option to manage search engine preferences. Search Engine Optimization helps increase traffic to your blog and connect your content with the intended audience. 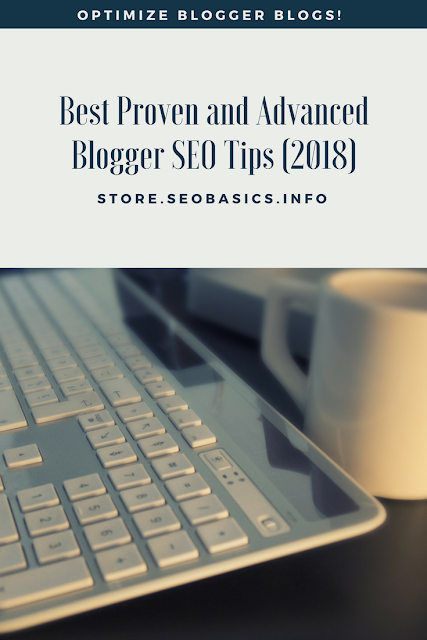 These 16 basic Search Engine Optimization tips for Blogger will give you the most for starting SEO of your Blogspot Blogger Blog. If you are an advanced blogger you may already do some (if not most) of these things, and you are well aware that these are only the basic tips of Search Engine Optimization for Blogspot bloggers. Below are the tips and tricks that will be beneficial for you to optimize your blog for Google, and other search engines, but also, the most important, how to blog for your blog readers. Did you know you have to allow search engines to find your blog? You actually need to give permission to search engines to crawl your site. You can do this by going to Settings-Basic Settings under Blog Title and Blog Description. Create a Blog Title that correlates with the niche of your Blog. Put the most important and relevant keywords in the title, try not to repeat any word. Ideally, the title should contain 10 to 70 characters, including spaces. When we talk about Blogger Optimization, post title plays a major role. Blogger post title is usually followed by homepage title. But for Search Engine Optimization ranking, the title of your post is actually more important than your blog’s title. You can change this by swapping your post title to be first. To create your own search description, just go to Settings- Search Preferences and click Edit next to "Description" to reveal a text field. Select Yes, write in your text, and click Save changes. Enabling this feature will display a “Search Description” option in the Post Settings panel that allows you to enter a search description for individual posts. Custom robots.txt ( SEO Blogspot ) is a way for you to instruct the search engine that you don’t want it to crawl certain pages of your blog. To exclude certain content from being searched, go to Settings - Search Preferences and click Edit next to "Custom robots.txt." Enter the content which you would like web robots to ignore. You can redirect URLs from your blog to new pages. This is helpful if you delete an old blog post but don't want people to see an error message if they get to that page. Pick the blog you want to update. On the left side of the page, click Settings-Search preferences. Add the deleted URL and the URL you want to point it to. If the original article was deleted, check the box next to "Permanent." Click Save under the redirect you created. Bloggers often create customized 404 pages to provide a bit of comic relief to their readers and prevent them from experiencing generic, unfriendly error messages. If you have a broken link on your blog, or, a reader navigates to a page that’s temporarily down, having a customized 404 page provides your readers with the better user experience. You can find the option to create a customized 404 page by going to Settings - Search Preferences. To enter your custom message, click Edit to open the text box. Type the copy you’d like to appear on the page, then click Save changes. If you’d like to get more creative than using standard text, you can use simple HTML. Now you can easily add "alt" and "title" attributes to your images. To do this, click on an image in your Post Editor, and select Properties. 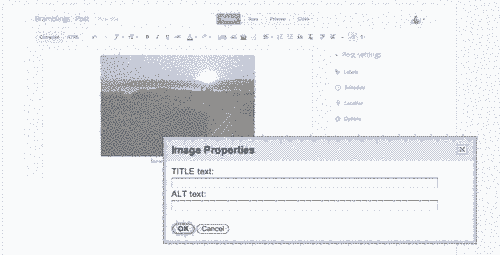 A text box will appear where you can add "alt" and to your image. "Alt" attributes are meant to be a description of the image for users who are unable to view the image, and the "title" attribute can be used for providing longer descriptions about the image. Headings express the general idea of the content below them, and search engines use headings to get an idea of what your post is about. To designate text as a header, just highlight the text in the Post Editor, and click on either “Heading” (<h2>), “Subheading” (<h3>), or “Minor heading” (<h4>) in the toolbar. Custom robots header tags allow you to tell web crawlers not to index certain sections of your site. It’s similar to custom robots.txt. To enable these tags, go to Settings - Search Preferences, click Edit next to "Custom robots header tags," and select Yes. You should see an X-Robots-Tag header tag in the HTTP response with the selected flags. If the feature is turned on, then you will see a similar interface in the "Post Settings" section of the Post Editor. When you write a post, Blogger automatically generates a permalink for your post from its title. Once you click Permalink, you’ll see that the option for automatic posting is selected as default. To create your own URL for this specific post, simply select Custom, and type in your new URL. I recommend using Custom Permalink when possible and don't forget to not use Stop Words in your Permalinks. When you click Link in the Post Editor toolbar to hyperlink text, you’ll notice an option about adding a rel=’nofollow’ attribute. Checking this box means that you don’t want this link to be considered when web crawlers are searching for information they’ll use to index your page. You might want to check this box if you don’t fully trust the content you’re linking to, the link is a paid link, or simply to deprioritize this link so that web crawlers can focus on your blog’s other content. I recommend using this Tag when you are linking to the websites less authoritative than your site and when you are linking to a site and describing something negative about that site, like spamming for example. Labels add to the keyword density of the post. Labels also affect related posts widgets in Blogger so use them carefully. Use at least one, and at max three labels for one blog post. The Comment section should be no-followed and moderated to avoid spam comments. Website speed loading time is now a search engine ranking factor. Also, the slower the blog loads, the more users tend to leave it before it's done the loading. Use the Google Pagespeed Insight Tool to see which factors are increasing your Blog load time and try to reduce those factors. You can turn on HTTPS for your Blogger blog. Last year, Google made HTTPS an official search engine ranking factor. On the left menu, click Settings > Basic > HTTPS Settings. HTTPS isn’t available for custom domain blogs for now. UPDATE: Now HTTPS is available even for blogger blogs with custom domains. Warning: If you turn on HTTPS for your blog, you may have to change your blog content to make sure it works with HTTPS. Don't forget to redirect HTTP to HTTPS. What you need to change is all your internal links on your blog that are written with HTTP you need to change them to https and also all image URLs that start with HTTP you need to change them to https. If you don't change HTTP to HTTPS then your blog will have mixed content issues and your change of blog URL will not have any effect for your blog security or SEO, even worse it will show on your browser bar that your site isn't secure, and this may scare your blog readers. If you really need to use a plugin for Blogger, then I have prepared one for you even though this is not really a plugin but just a piece of HTML to embed on your blogger template. Therefore, just copy the following HTML code and paste it immediately after <head> code, but before delete all other meta tags you have already on your template including: "<b:include data='blog' name='all-head-content'/>". Also, if you have any further questions and feedback about this article then you can share your opinions in the comment section below.